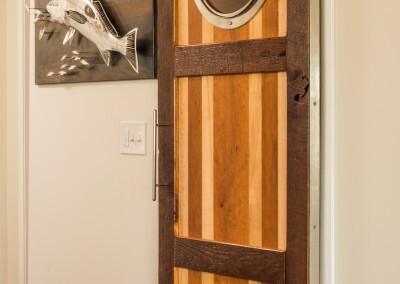 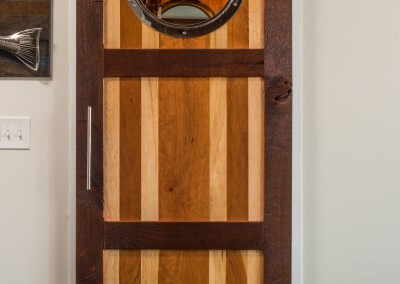 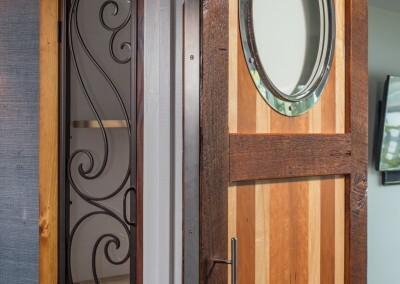 At 2″ thick, this reclaimed heart pine framed barn door is quite substantial. 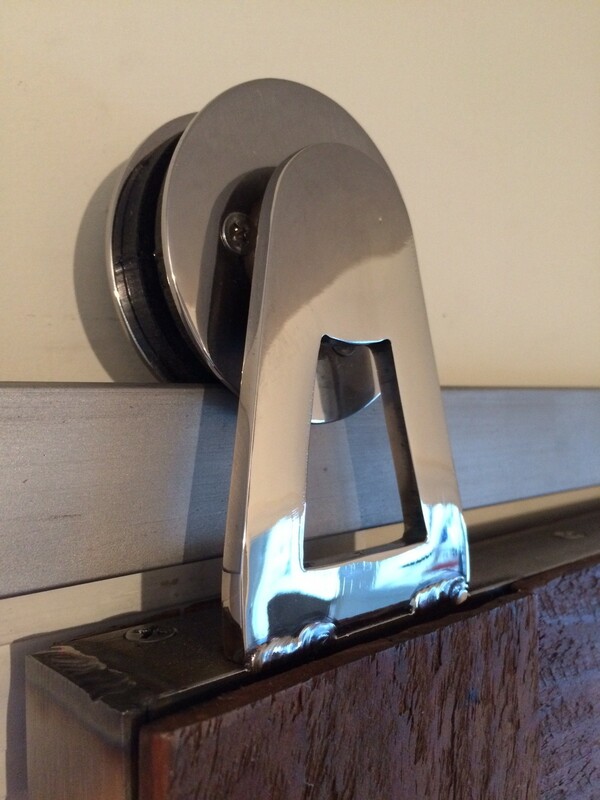 It is banded in brushed stainless, and boasts a polished stainless port hole window, rollers and handle. 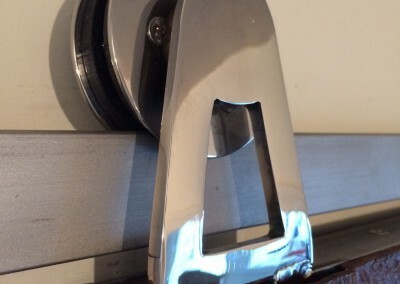 We designed and fabricated all the hardware. 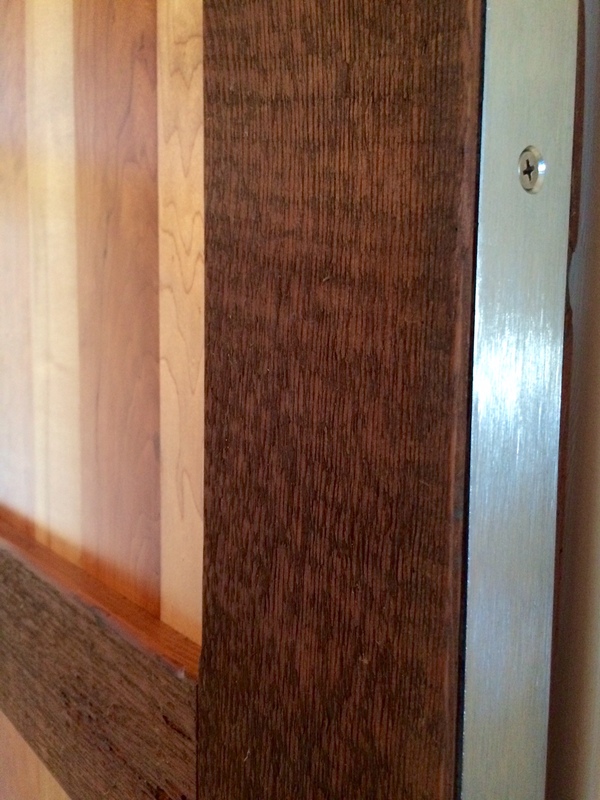 A hidden center pin system under the door keeps it from swinging as you slide it open and closed. 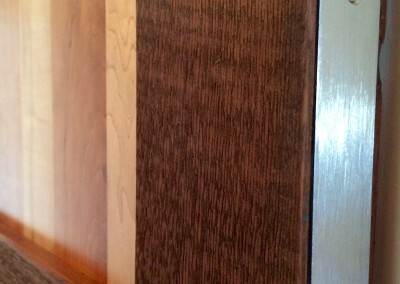 The center panels are a combination of maple, cherry and mahogany. 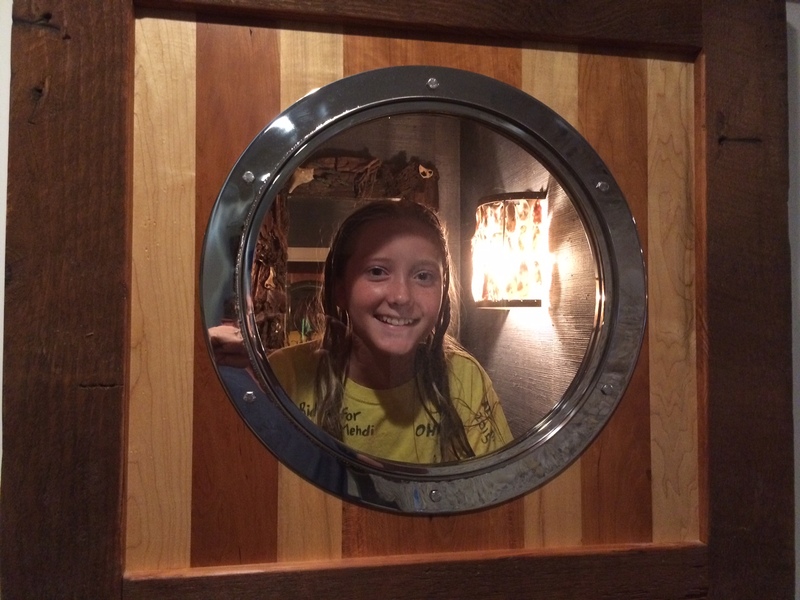 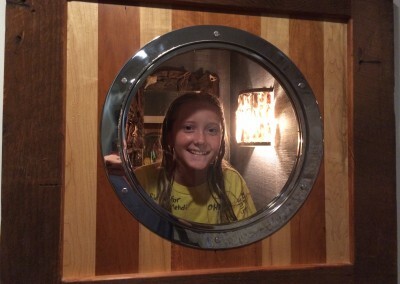 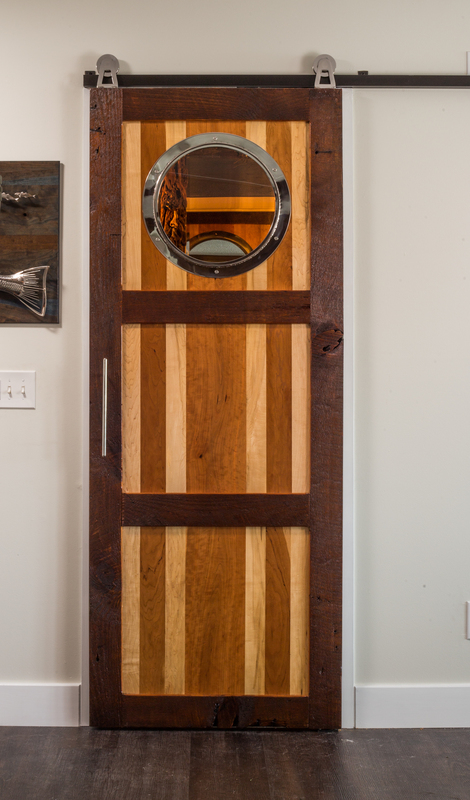 This project made for one happy customer! 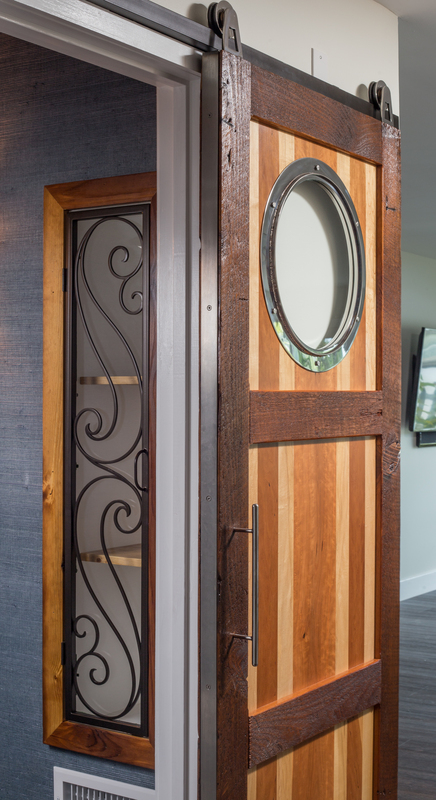 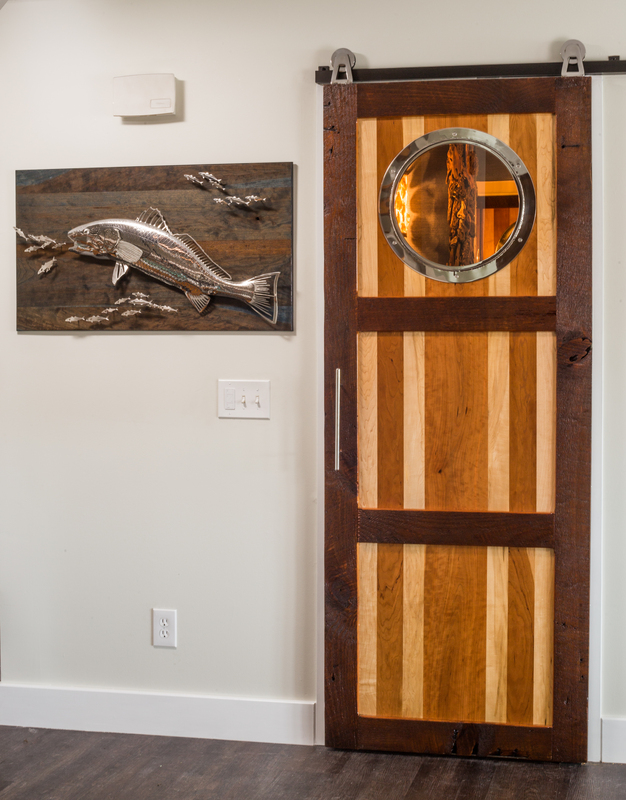 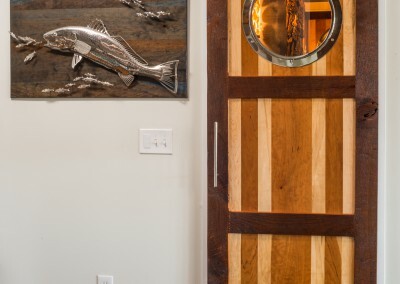 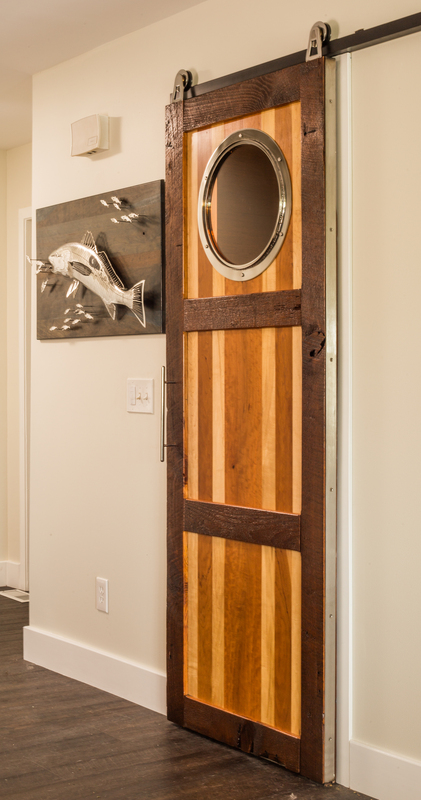 If you like this, you may also be interested in our other barn doors.